OK 7 Washita River, Murray Co.
By the time you are reading this page, the bridge shown in the photos here will be gone. 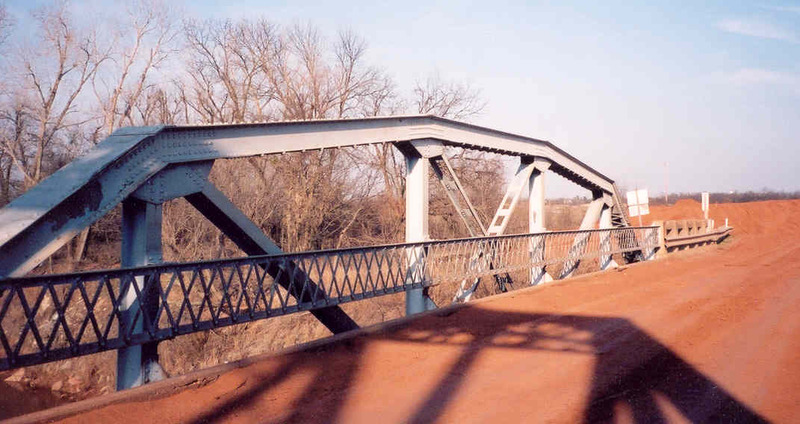 Built in 1931, this bridge last served westbound traffic on OK 7 between Davis and I-35. 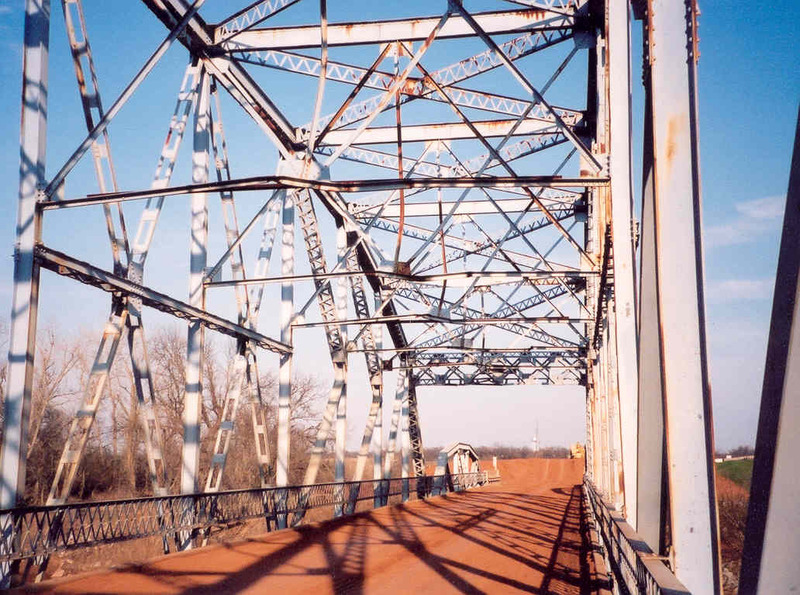 The bridge was closed to all traffic in March 2004, in preparation for its demolition and replacement with a much less interesting structure. When we say the bridge the asphalt roadway had already been removed at both ends of the bridge. The photo above is looking east towards Davis. As you can see, all concrete work was intact and in good shape on the stringer approach spans at both ends of the bridge. Below, a view from under the bridge of the side. 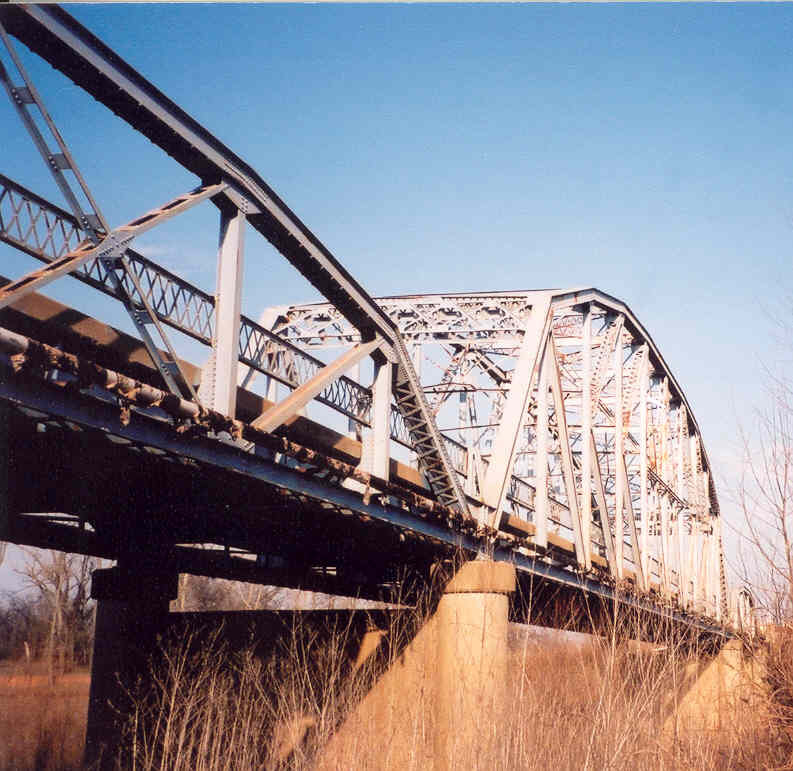 The main span was a 210-foot long K-truss, one of the earliest of its type in Oklahoma. The two pony approaches are the old reliable 100-foot Parker design. Above, a close shot of the backside of the portal and endpost. The stiffener plate below the portal is where a knee-brace was once attached to the endpost. Note also the gusset plate in the portal itself without rivets, indicating that new material was welded in to repair damage. Below, a deck view thru the main span. Note the heavy damage to the lower sway strut from tall vehicles that have come thru this bridge. Many of these struts had extra angles welded in to help stiffen them. 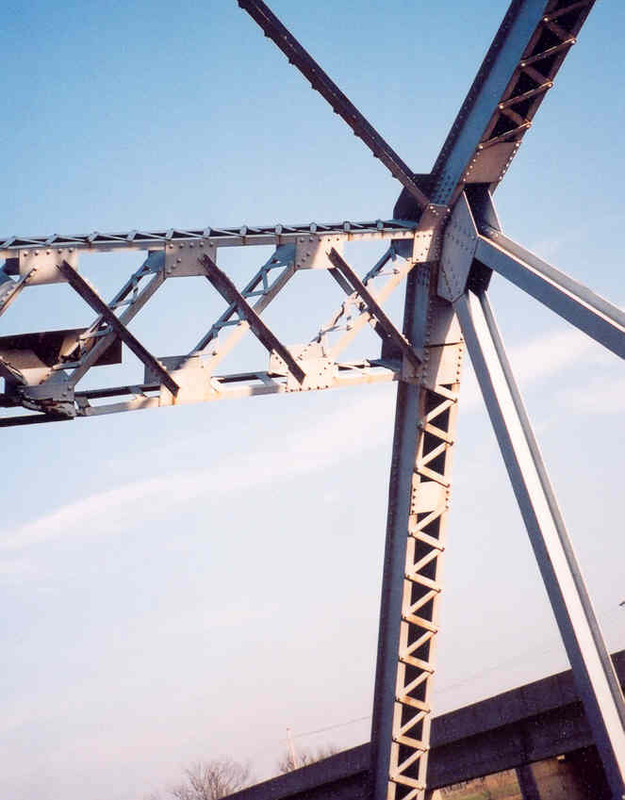 Below, a close-up of one of the two pony spans. Note the laced guards and built-up X in the center panel.